Meet Super Victor, mascot of Euro 2016. Poland (27): Poland may have a good World Cup legacy with seven appearances and two third-place finishes but they lack a Euro legacy with competing in only the last two and going out in the Group Stage both times. Last Euro was especially embarrassing since they were co-hosts and didn’t win a game. Since then the White Eagles has gotten better. And it’s not just with Robert Lewandowski becoming a star striker for Bayern Munich. It’s the whole team that has been performing consistently. In fact the team even scored their first ever win against Germany in October 2014 during Euro qualifying. They’ve had other notable wins in the past two years against Ireland, Czech Republic and Serbia. Their only loss in the past two years came to Germany when they got their Euro qualifying revenge last September. 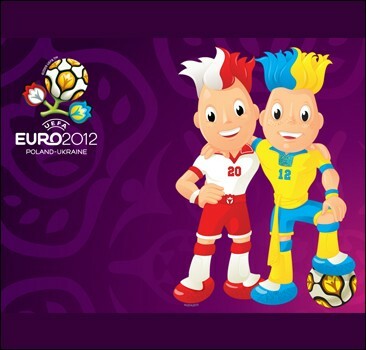 Before I even give my predictions, I can already say I know Poland will advance to the Round of 16 at the very least. Poland could be the team most likely to cause a surprise. Northern Ireland (26): This is Northern Ireland’s first ever Euro. They’ve played in three World Cups before and even made the quarterfinals in 1958 but no previous Euro. The team may not have a George Best right now but they appear to be getting stronger in recent years. Five players play for the Premier League and they’ve scored notable wins against Hungary and Greece. Their two losses to European teams in the past two years were to Romania and Scotland. France could be another proving ground for the team. Germany (5): You think that since they’ve won the World Cup in 2014, they should be top of the world, right? Well one of the reasons why they won the World Cup is because they had the most team unity and best team chemistry of all. No standout superstars, just one functioning team. And that’s how it should be. However three of its top players from World Cup 2014–Per Mertesacker, Phillipp Lahm and Miroslav Klose–retired immediately after. This led to dealing with a new team format since then and also into developing new national team players. Manuel Neuer, Thomas Muller, Mesut Ozil, Andre Schurrle and Mario Gotze and still part of The Mannschaft but they’re also added some new younger talent too. With the changes to the team, they’ve gone through some ups and downs. They qualified for the Euro top of their group. They’ve had some notable wins against Poland, Spain, Scotland and their traditional ‘Achilles heel’ Italy. However they’ve also had some notable losses to Argentina, Poland, the U.S., France, England and most recently Slovakia. However Germany has a habit of coming alive when they most need to so it’s not right to dismiss them quite yet. Plus Euro 2016 could be the grounds for a lot of the new younger players to come of age. Only time will tell. 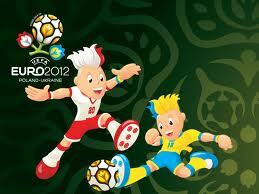 Ukraine (22): Ukraine is a team that either gets better or keeps on learning over time. They first arrived as a team at the 2006 World Cup where they made the quarterfinals. However they’ve struggled to qualify for a World Cup since. They played in their first Euro in 2012 as co-hosts going out in the Group Stage. The current team mostly plays for teams in the Ukrainian Premier League. The current team has a lot of good talent like veteran Anatoliy Tymoschuk and rising great Andriy Yarmolenko. In the past year, the team has had some notable wins over Wales, Romania and Slovenia. Their only loss in 2015 came to Spain. In their history, they’ve either won or tied Northern Ireland, had mixed results against Poland and never won against Germany. Chances they could be on at Euro 2016. Prediction: I think Germany vs. Poland will be a draw game and both teams will have the exact game results in all of group play. But I think Germany will come out on top over Poland because of goal differentials. Third place in this group will go to Ukraine. And there you go. My thoughts on Group C. My thoughts on Euro 2016’s Group D coming soon. 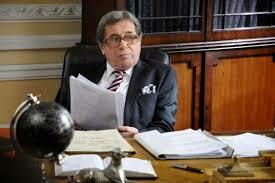 Janusz Gajos plays a tough-guy lawyer playing a legal gamble in The Closed Circuit. DISCLAIMER: This may be mistaken as a review for the movie Closed Circuit starring Eric Bana and Rebecca Hall. This is actually a review for the Polish movie Układ Zamknięty whose English title is The Closed Circuit, also released in 2013. The Closed Circuit is a legal drama from Poland that’s become one of the highest-grossing Polish-made movies there. Does it have what it takes to entertain North American crowds? The film begins in Gdansk in 2003 where computer business Navar has just had a grand opening for their new factory. The building of the factory with high-tech equipment had a huge boost thanks to a partnership with a Danish community. Shortly after the deal, another businessman tries to make a deal with CEO Piotr Maj to no avail. Later it’s brought to the attention of a legal office headed by district prosecutor Andrzej Kostrzewa that the company made an illegal deal; that this was a scam. He hires Kamil Slodowski–a good lawyer who’s relatively new at tackling corporations–to head the crackdown. Unknown to Kostrzewa at the time is that the company is headed by Maj who happens to be the son of a professor whom Kostrzewa got into a bad dispute with during his own college days and had him fired from the University and exiled back to Israel. One should take into account that Kostrzewa was a former Communist and still believes: “there are no honest businessmen.” Professor Maj died recently and his memoirs could be the smoking gun for Kostrzewa. The arrests fly to the three businessmen and they are brutal not only to them but other family members too, even Maj’s pregnant wife who miscarries during the arrest. They get thrown into jail accused of financial irregularities and money laundering. They face inhuman conditions in the prison including Maj suffering at the hands of another prisoner. Meanwhile the team of lawyers get various recordings ranging from a news reporter stating the case will make him famous to one of the Navar’s head’s relatives bringing a lawyer down. Meanwhile Slodowski is getting to the bottom of the case but Kostrzewa is wheedling the shares from the significant others. Slodowski is successful in getting whatever evidence he can against the accused. However he himself is being challenged by the media and he starts feeling like he’s being used in Kostrzewa’s team instead of getting his own fair share. Soon the truths begin to unravel. Kostrzewa and his team experience retaliation on their part which leads to their fate. The two main businessmen of the factory are released with Maj recovering in the hospital from a suicide attempt. This sets up for a smart but unexpected ending to the events. I don’t know if director Ryszard Bugajski was trying to get a message out about Communism meeting capitalism in a post-Eastern Bloc Poland or if he was trying to play out a drama that’s actually based on true events. If he tried to get a message out of old Communists in Poland trying to use power in keeping the spirit alive, I don’t think it was clear enough. Besides Kostrzewa suffers setbacks of his own. I’ll admit I’ve never lived in Poland so I can’t really describe this as a depiction of Polish power struggle or not. I feel it was more about playing events out and creating a drama that would have the audience intrigued with what will happen next for both the heads of Navar and the team of lawyers and the families of both teams. There was an additional quality to the story line. The story didn’t just simply play out the events in a legal crackdown on a company. The story added the human elements to it too. The events during and after the arrests of the heads of Navar showed the hurt done to family members. Numerous times we saw the feelings of those played out. There were a lot of scenes that stood out. One was of Maj’s wife as she is left depressed after the arrest of Piotr and her miscarriage. Another is of the two heads of Navar who look through the empty factory after their release from jail. Another came from Kostrzewa, among other characters. Kostrzewa frequently comes across a tough pitbull-like lawyer determined to win. However there’s that scene where he sees Piotr Maj in the hospital after a suicide attempt. It’s as if at that moment, he’s no longer Mr. Tough Guy and he feels sorry for him. In retrospect, I think of that scene where Kostrzewa starts having regret and hopes not to destroy a second Maj. This is a great film by Ryszard Bugajski. Bugajski is a director who has been able to prove himself well in recent years. He actually worked with legendary Polish director Andrzej Wajda in his Studio X in the late 70’s. He fled Poland in 1985 and moved to Canada where he was able to acquire opportunities in writing and directing episodes for American television dramas in the 80’s. His film work only started coming to light once Communism fell in Poland and his films have since won Bugajski renown of his own including Interrogation: a film made in 1982 but was denied release until the fall of Communism in 1990. Once released, he was nominated with the film for a Palme d’Or in Cannes and a European Film Award. He has followed it up with excellent film works since and this is now his chance to make a movie in his home country. His direction in this film along with the collaboration of writers Miroslaw Piepka and Michal Pruski is an excellent drama that could even rival the suspense levels of American legal dramas. The acting was also excellent too as there were many good performances from the main leads to the supporting parts. If there was one performance that stood out, it was from Janusz Gajos as the tough guy Kostrzewa. His portrayal of a tough lawyer who eventually gets weakened mentally when he’s reminded of past mistakes and has to confront his misdoings in this case was a very good performance and definitely the one that got the most attention from the film. The Closed Circuit is another example of countries trying to shell out movies internationally. They may have shelled out movies before that would fare well in their home country but would end up substandard internationally in the past. Now they’re making the effort to shell out quality movies that can fare well outside their home country too. As I mentioned before, the main thing that separates movies from films is that they are more entertainment-focused. As a legal drama, it’s very good at including incidents to keep the audience intrigued from start to finish as well as include human elements inside the story. I’m sure North American audiences who don’t mind watching a movie with subtitles would also be taken in by the suspense of the events. One thing about the VIFF crowd I saw it with. They laughed during the scene where the bishop blesses the factory. I guess they don’t understand Polish society where they value the blessings of priests even in business locations. The Closed Circuit was a top attraction at the VIFF. It is a very good drama and is an excellent choice for people who like legal dramas. This also takes Polish moviemaking to a new level.